This is the second part of Ginger’s interview. Ginger Kadlec is a child advocate, blogger, and child interviewer. Please read and share this post with everyone! 5.) Would you talk a bit about ‘body safety’ and how it helps children feel more secure? The body safety message is shared in a child-friendly fashion that isn’t scary, but that is ‘real’. During these classes, children are engaged, ask questions and eagerly offer responses. Teachers and administrators consistently rate the program and presenters highly, and each year additional schools in central Indiana register for the program. One component of the program is that the instructor shows a police badge (some are fake, like mine, but there are several volunteer police officers who use their real badges) and asks for student volunteers to leave the room with the instructor so their private body parts can be checked out to be sure they are okay. Inevitably, about half the kindergarten class will raise their hands to leave with the instructor… scary. Those numbers dwindle as the children get older, but inevitably, hands will rise. This offers an opportunity to discuss “tricks” that “people with their thinking messed-up” will try to play. It also allows us to reinforce that NO ONE has the right to touch a private body part for no good reason or just to play a game, regardless of the job they have, how old or big they are, or their relation. It’s a powerful message that reassures children their bodies belong to them! 6.) How do you keep motivated and positive? I love what I do! When I first became involved in child advocacy, I thought, “There is NO WAY I could ever be an interviewer.” And while it can be tough and there are cases that do haunt me, I know I am making a difference in helping to protect children from some terrible situations. Plus, the people I have the opportunity to work with (like other child advocacy, law enforcement, case managers and prosecution professionals) are AMAZING! They are the ones who deal with these cases day-in, day-out. I deeply admire and find inspiration in their dedication and passion. I also am motivated by the people with whom I’m connecting (like YOU) via social media! The fact that so many people are rallying behind the cause to raise awareness of child abuse prevention simply fires me up! It’s also been incredibly humbling to hear from abuse survivors who have reached out to share their stories…they are the inspiration behind starting the “Hopeful Hints”. Have I mentioned that I love what I do??? 7.) Do you have any suggestions for anyone else who wants to make a difference and contribute something to the children in this world? There are countless opportunities for people to help children. One super-simple step to help raise awareness is to share, re-tweet and post information via social media. There are many volunteer opportunities to work with children in your community. If you are interested in helping abused children or preventing child abuse, I recommend contacting a child advocacy center in your area to discuss volunteering. Women’s shelters, schools, after-school programs and community centers are always in need of helping hands. Also, most of these organizations rely on the generosity of donors and sponsors for their funding – financial contributions are crucial and always appreciated. Many have fundraisers and need volunteers to help with those. Working together in these various efforts…I am convinced we WILL improve the world one child at a time! Thank you, Ginger, for answering all my questions so completely! I have learned a great deal from all the information. I so appreciate everything you’re doing! Please visit Ginger’s website for more information. Emotional Freedom Technique (EFT) has helped many adults and children clear away stress, fear, anxiety, traumatic experiences, and more. EFT gets directly to the problem, it doesn’t matter how intense it is or how long it’s been around - the cause is always a disrupted energy system. Negative states of mind disrupt the body’s energy system and can lead to emotional, physical, and mental problems. Check out EFT4kids help children start using EFT. For more information on EFT please visit & subscribe to my YouTube Channel and joing me on my website. If you’d like to do a Skype, email, or one-on-one session please contact me at annagEFT@gmail.com. Today’s interview is with the extraordinary Ginger Kadlec a child advocate, child forensic interviewer, and writer who is helping improve the lives of our nation’s children! On Ginger’s website she writes, “Caring, capable adults improve the world one child at a time” check out her site here. I was happy to ask her a few questions about her work and all the wonderful things she’s doing. 1.) What made you decide to make a dramatic change in your life, leaving your executive job to work with and help children? Frankly, I *lucked* into it! My husband and I worked for several years in the corporate world and were at a point in our lives where we wanted a little more personal flexibility – you know, to travel, spend more time with each other and just enjoy life. So, we both decided to pursue freelance consulting and project work. During that time, a dear friend of mine was a board member for a child advocacy center called Chaucie’s Place. The executive director who helped start the center moved on to another opportunity, so the board was looking for someone to serve as interim director for several months while they conducted their search for a replacement. My background seemed to fit the bill. Well, it didn’t take long before I immediately fell head over heels in love with child advocacy work. 2.) How long have you been working with children? Would you mind explaining a bit more about what a child forensic interviewer is? I have worked with children as a volunteer on-and-off through the years, but in a dedicated child advocacy capacity since 2008. I became a child forensic interviewer in 2009. Basically, a child forensic interview takes place in cases of alleged child sexual or physical abuse, or neglect as part of an investigation by law enforcement or child protective authorities. Typically, a multidisciplinary team (“MDT”… which often includes representatives from child advocacy, law enforcement, prosecution, child protective services and victim advocacy) conducts a neutral, child-friendly interview of the alleged victim to gather information about abuse that may or may not have happened. There are various protocols for child forensic interviewing, but I am trained in and am a guest instructor for the Child First/Finding Words interview structure. Ideally, a child speaks one-on-one with a trained interviewer who follows protocol, keeping the child’s needs at the forefront of the interview. The child and interviewer are in a comfortable room while the rest of the MDT watches the interview via closed-circuit TV in another room. The interviewer often wears an earpiece so the MDT members can ask questions of the interviewer without disrupting the conversation with the child. It’s truly an amazing model and is much friendlier and less-scary for children than going to, for example, a police department (even those with “soft rooms”). Child advocacy centers often present a home-like feel, with toys, books, games, comfy furniture and bright or pastel colors (or even murals) on the walls. They don’t “feel” like places where criminal or child protection investigations happen. Speaking of which, alleged perpetrators are not allowed on the premises. In the event an alleged perpetrator is another child (which, believe it or not happens pretty frequently) and a forensic interview is needed for that child, the alleged perpetrator would come to the center at a time when the alleged victim is not present. Many times when the alleged perpetrator is a child, we’ll want to talk to that child to see if he, himself, is a victim of abuse. 3.) What would you say is a good way to empower children and help them feel safe, secure, and confident? 1st Listen and believe! I believe these to be the most important actions parents can take in empowering children. Heck, even we adults feel good when someone is paying attention to us, right? I think it’s even more important with kids – it helps them feel valued and validated. In the event a child discloses abuse to an adult, it is imperative that the adult immediately believe the child… no matter how outlandish the child’s accusations or stories may seem. Over 90% of child sexual abuse victims know, love or trust their abusers. In fact, over 40% of child sexual abuse happens at the hands of family member. A vivid reminder of how sexual predators can be even the most respected of community icons is the recent scandal involving Penn State Asst. Coach Jerry Sandusky. Remember, the facts will work themselves out during the course of any investigations that take place, but it can be devastating to a child if the adult in whom they confide does not believe them. Additionally, not believing or taking immediate action could potentially lead to further abuse and serious harm for the child. 3rd Teach children which body parts are private… and have them practice saying “NO” to inappropriate touches. This is a basic element of the body safety course for which I am a volunteer instructor. This is pretty important, though… I can’t tell you the number of child forensic interviews in which I’ve been involved where a child didn’t say “no” or put up at least a bit of a fight against a molester’s advances… and they became victims of abuse. On the flip side, kids who know to say “NO!” or offer some resistance are most times left alone. Sexual predators are more likely to abuse children that acquiesce or that they believe can be manipulated. Talking with kids and reinforcing that, “No one has the right to touch a private part of their body for no good reason or just to play a game” is crucial! Also, have children practice saying “NO!” at the top of their lungs. Not only will they enjoy the opportunity to yell, but believe it or not, it really does help them feel empowered to protect themselves, no matter who their perpetrator might be. 4th Maintain an open level of rapport with your child. Communication is key. I’m a big fan of “sound bite parenting” where parents reinforce key messages in everyday, teachable moments and small bits. Helping kids feel safe isn’t a one-‘n-done deal. It takes a lot of open, candid conversation throughout their childhood and teen years. The more comfortable parents are in talking with their kids about these issues, the more likely their lines of communication will be two-way and open. 4.) I love the hopeful hints section on your blog it’s filled with lovely quotes and messages. Where do find most of your messages and do you have a favorite quote you’d like to share? I love quotes and subscribe to different motivational emails, etc., which is the source for several of my Hopeful Hints. One of my favorite websites for finding quotes is “Good Reads” (www.goodreads.com/quotes). I will also use an occasional quote I read on Twitter. My favorite of the Hopeful Hints I’ve done thus far is, “A very little key will open a very heavy door,” by Charles Dickens. Just by telling one responsible adult, children in abusive situations can find refuge. But it often takes them using that key to even crack that burdensome door. Predators use all sorts of tactics and tricks to keep children from disclosing abuse… and unfortunately, it often works. In fact, I conducted a couple of child interviews just this week where I suspect the perpetrators “coached” these children to keep silent. Oh, how I wish they would have been able to just pull out their little key… but abuse disclosure is a process and doesn’t always happen when those of us involved in investigations think it should. I broke Ginger’s interview into two parts because I didn’t want to shorten any of her answers. Child abuse is an issue that effects everyone. You may have been abused yourself, you may work with children or have children, or you may know someone who's been abused. Our children are the future and it’s up to all of us to help make this world a safe & loving environment for them and for ourselves. Emotional Freedom Technique has helped many adults and children work through traumas, fear, anxiety, and learn to love & accept themselves. There is a great website that helps teach children how to use EFT www.eftforkids.org. 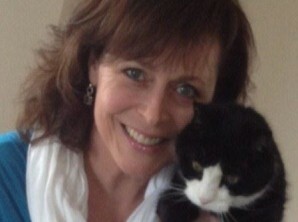 Be sure to check out Ginger’s website www.gingerkadlec.com. Check back Saturday for the second portion of this interview! For more information on EFT please visit & subscribe to my YouTube Channel. A few days ago I received one of the best comments I’ve gotten on YouTube. He wrote, “Your book is amazing.” He basically shared how he appreciates my non-pickup artist approach in my book, written to help men find a wonderful woman. It made me smile so much. I so appreciated the comment and I felt a huge rush of gratitude going through my system while reading. It got me thinking about real gratitude, the things that make you feel good and truly thankful. In the past I’ve been super religious about my gratitude lists. I’ve filled up notebooks with lists of things I’m thankful for ranging from Dunkin Donuts bagels to getting my Psychology degree. 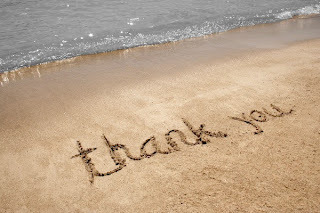 I have several word documents labeled ‘Gratitude’ and ‘Things I’m Thankful For’ on my laptop and desktop. I know how to do this stuff and a part of me knows how good it makes me feel…so of course I write in my notebook or add to these word documents every day, right? Not quite, sometimes I don’t have a notebook nearby, I’m feeling tired, or I don't want to write anything. Needless to say I don’t always add to my gratitude lists daily. But I do wake up each morning and say 5-10 things I’m grateful for. I do this before I get out of bed and regardless of what kind of mood I’m in. Our brains are not designed to process gratitude and anxiety at the same time. By making a gratitude list or saying what you are truly grateful for you are occupying your brain with good feeling thoughts! Incredible right? I’m not talking about stuff you wish you were grateful for like a job you’re not happy at or relatives that make you feel like you’re five years old again! If you work at it though, in time you could feel grateful for them too. I’m talking about things that make you feel good and put a smile on your face...sunshine, gluten-free macaroni & cheese, children, the ocean, fluffy pillows, your dog, yoga, awesome kisses, etc. Once you get going you may surprise yourself at how many things you come up with. Saying something I’m grateful for each morning has become a habit. Learning to start showing, feeling it and expressing gratitude can become a habit. Now this is a habit worth having! Create a new habit or two, make sure they’re uplifting and they put a smile on your face…or at least make you feel less pissed off! Another wonderful habit I’m encouraging everyone to cultivate is practicing EFT. Emotional Freedom Technique is truly empowering and it’s one of the most loving and kind things you can do for yourself. Set an intention to do EFT 10 minutes a day, in the morning, the evening, or you could even do it on your lunch break. Once you do it once a day then you can start doing in twice a day or more. Shoot for 10-20 minutes of tapping a day and you will start to feel better. For more information on EFT please visit & subscribe to my YouTube Channel. If you’d like to do a phone, email, or one-on-one session please contact me at annagEFT@gmail.com. Please join me on my website for more info on Emotional Freedom Techniques. If you’re interested in my book “Fall Head Over EFT: Men Meet & Date the Woman of Your Dreams with Emotional Freedom Technique” check it out here on Amazon. I recently reduced the price, so anyone can afford it! If you have Amazon Prime you can borrow it basically for free. Be sure to check back on Tuesday, August 6th, when I will be doing another interview for my ‘Unlocking Your Awesomeness’ series. I will be interviewing the extraordinary Ginger Kadlec a child advocate, child forensic interviewer, and writer who is helping improve the world one child at a time! I am excited to learn about all the ways she’s helping our nation’s children. Don’t miss this interview!